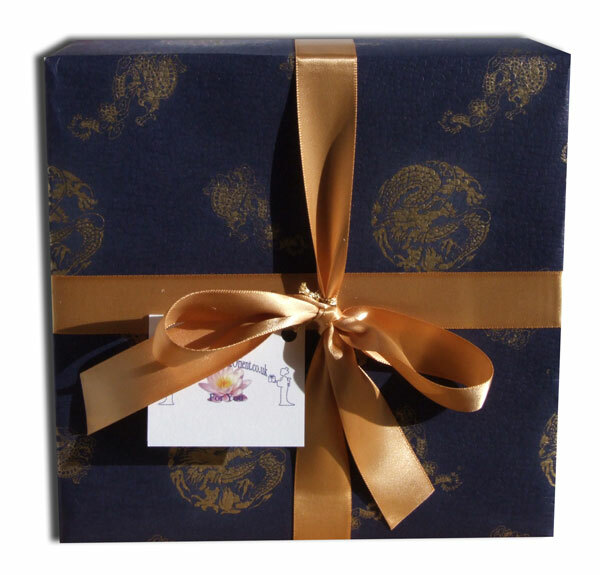 To compliment your special oriental gift why not add our oriental style gift-wrapping service. The blue paper comes with a oriental design and is made from a high-grade paper with a textured luxurious finish to the coloured side. The reverse side is parchment coloured. The antique gold coloured ribbon is made from double faced satin.